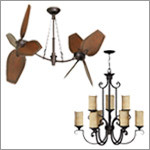 With so many options available, selecting lighting and ceiling fans can be overwhelming. Our knowledgeable staff is passionate about helping you to find the right solution for your next project. We encourage customers to take photos of the space they are trying to illuminate to assist our lighting specialists in finding the right style, size, and type of lighting or ceiling fan for their needs. Feel free to bring in any photos, drawings, product samples, or blueprints that may assist us in finding a solution for your needs. With your permission, we’ll even feature your before-and-after photos on our blog! Legend Lighting strives to bring to our customers the latest styles and unique designs in lighting fixtures and ceiling fans. Our bright and comfortable showroom provides and inspiring environment for you to gather ideas while our attentive staff will help you find creative solutions to illuminate any space. From simple and elegant to bold and imaginative, we’ll help you find the right size, style and design for your next project. On display you will find a variety of products such as traditional, transitional and contemporary chandeliers, pendants, wall sconces, outdoor lighting, crystal chandeliers, and much more. With over 70 ceiling fans on display, you’ll also find a variety of motor designs, unique blade options, and customizable light kits. If you are building new or remodeling, we’re happy to work with you and your contractor to custom design the lighting for your project. Your lighting should not only look great, but also compliment the other design elements in your project and create a comfortable and productive environment. We’re happy to make suggestions to your plans to help you achieve these goals. With the development of advanced lighting control, better fluorescent light sources, and especially Light Emitting Diodes (LED’s), the way that we illuminate our homes and offices is rapidly changing like never before. Legend Lighting is committed to bringing solutions to the consumer that conserve energy, which not only save you money but also reduce carbon emissions and consumption of natural resources. 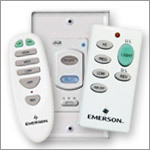 Please visit our showroom to see the many products and solutions that will help you use less electricity. 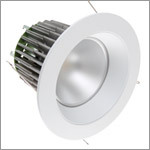 To learn more about energy efficient lighting, please click here. 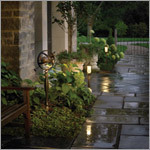 Landscape lighting showcases your beautiful investment in the exterior of your home. Give your yard real curb appeal after dark while improving safety and security. Landscape lighting not only improves the value of your home, but also expands your outdoor entertaining options.Legend Lighting is proud to sell and install landscape lighting by Kichler Lighting and Hinkley Lighting. Both of these brands represent the very best in quality and product innovation in the landscape lighting industry. Additional information about Kichler landscape lighting can be found at www.landscapelighting.com, and additional information about Hinkley lighting can be found at www.hinkleylighting.com. Visit our showroom to see landscape lighting on display and learn more from one of our sales representatives. We’ll help you lay out your landscape lighting system, make recommendations based on your needs, and provide installation services if desired. 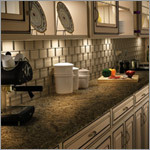 Showcase your cabinetry and improve productivity in your kitchen or other workspace with professional grade cabinet lighting. From easy-to-install direct wire LED and Xenon light bars to customizable low voltage systems, we display various solutions and the latest technology in cabinet lighting systems. We’ll help you custom design a cabinet lighting solution based on your needs, and as always, you can have it installed by one of our professional electricians. Lighting controls and dimming devices can provide added comfort and flexibility to every room in your house while allowing you to set different moods and scenes around the home. Lighting controls are also an excellent energy saving solution, extending the life of your source of light while reducing the electricity required to light your home. 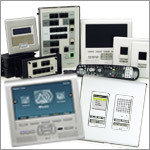 Legend Lighting is proud to partner with Pass & Seymour by Legrand, a leading manufacturer of residential electrical devices, to bring to you intuitive, stylish, and innovative lighting control systems suitable for one room or your entire home and can be retrofitted into existing homes without the need for additional wiring. To learn more, please visit our showroom or click here. Imagine an easy-to-use and stylish home entertainment and communication system that will allow you to listen to multiple sources of audio in different rooms, show live video feed of who’s at your front door right on your television, leave voice messages for family members, and much more. Legend Lighting is proud to feature on display in our showroom the On-Q Unity Home System by Legrand. Unity is an affordable whole-home solution for multi-room intercom, audio, and cameras as well as lighting control and more. Please visit our showroom or click here. 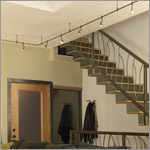 Don’t let your installation needs limit the possibilities of new lighting solutions in your home! Legend Lighting is a licensed and insured electrical contractor, and we can handle any installation of products purchased in our showroom safely, professionally, and at a competitive rate. 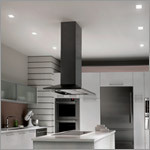 We’ll even deliver the fixtures to you with our electrician at the time of install. For many simple installation needs, you can pay for the labor at the time you purchase or your fixtures, and for more complex projects we’re happy to provide a free in-home estimate. Installation services are coordinated with our sister company, PowerHouse Electrical Services, also locally owned and operated by the Neal family. Collectively, our family has been providing quality electrical contracting services in Central Texas for over three generations, so rest assured your installation needs will be handled efficiently and safely. Please contact our showroom or PowerHouse Electrical Services for more information. Still not sure about your selections? We’re happy to do in-home consultations for a small fee which can later be applied toward the purchase of your lighting. We’ll bring our catalogs and our knowledge to you, where you can show us your project, and we can make recommendations on site. For more information, please call our showroom!